This article is long overdue. Senators across the country are lobbying for a bill to be passed that would ensure the care of military dogs after their retirement. Deemed “military equipment,” many are left behind to fend for themselves, but now politicians are pushing for laws that would make it mandatory for them to be brought home, and preferably given to their handlers. 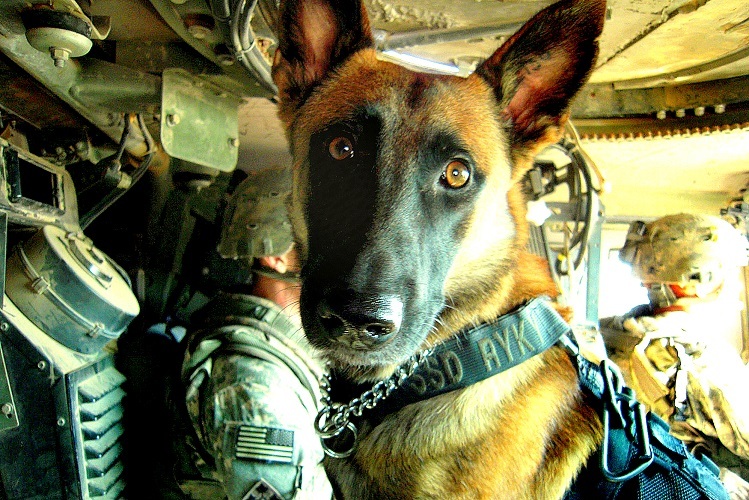 Though you may have heard it before it still comes as a shock to think that it’s not uncommon for military dogs to be left behind in the countries where they served, which is a load of crap coming from governments that spend billions of tax dollars on the military budget each year. Sadly, they don’t spend nearly enough providing for veterans – human and canine – once they complete their service. Most handlers and other platoon members view their dogs as brethren out on the battlefield, and would love to have the dogs come home with them, but at the very least want them to have a home.